I’m a sucker for Top-10-Lists. I’d like to know your favourites, maybe a “the usual suspects”-list and one with lesser known gems. Any thoughts? – Have a nice day, read you soon. Greetz from Germany! You asked for it . . . you got it! Coming soon . 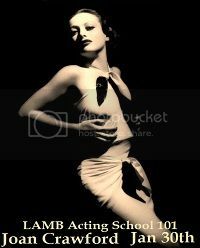 . .
Nice site (just left a comment at the Jane Russell noir entry). 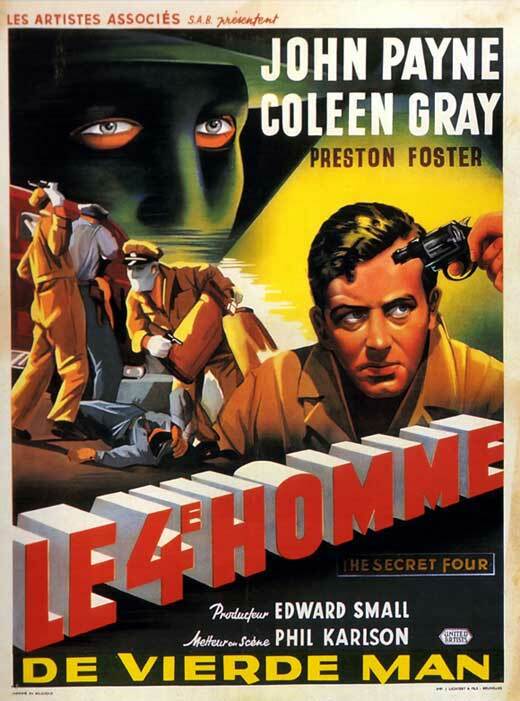 I see you also cover pre-Code as well. 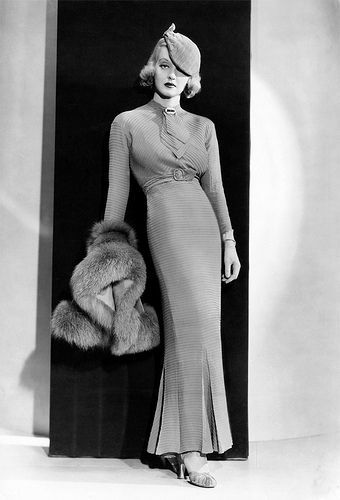 I cordially invite you and your readers to check out my blog, dedicated to classic Hollywood in general and my all-time favorite actress (Carole Lombard) in particular. It’s understandably called “Carole & Co.” and as of this writing has been around for nearly 4 1/2 years, with an entry virtually every day. Please check us out at http://carole-and-co.livejournal.com. Thanks for the article on John Payne. I think he is not given credit due his versatility. Also, he seemed to see acting (his stardom, anyway) as a business, and looked to maximize his earning ability above all else. I think he was in on profit participation in all those Pine-Thomas films, and he made good money from them, which he invested to make more money. A lot of those P-T films are on instant view on Netflix. You also had a great article on Zach Scott recently, which was a treat. Did Payne and Scott ever work together? Thanks so much! I totally agree about John Payne — he excelled in comedy as well as drama. I can’t find any films that he appeared in with Zachary Scott. I can imagine them in a western together, can’t you? as a photographer, i am also familiar with ruth snyder from another vantage point. there is a famous photograph of her in the electric chair moments before her death. it was taken by a newspaperman who had a hidden miniature camera strapped to his ankle. a very powerful photo, especially from the forced angle of the shot. Can you please try this film survey? 1. When you die and go to heaven, who would be the first three actors/actresses you would just love to speak to about their careers? James Cagney, Edward G. Robinson and Spencer Tracy. Claudette Colbert, Ingrid Bergman and Greer Garson. 2. One actor, one actress and one director you yourself know are great but if you told a friend not into classic films about them, you would just get a blank stare? Paul Muni, Anne Baxter an Michael Curtiz. 3. An actor you think might have made made a great athlete? Burt Lancaster. 4. Your favorite actor with a beard? Monty Woolley. 5. Favorite film that involved the taking of a hostage or hostages? THE DESPERATE HOURS. Fredrick March and Humphrey Bogart at their best. 6. Three favorite films involving two people who fall in love? 7. A first classic film involving war you might suggest to a person who might be a bit uneasy about the subject? Stalag 17. 8. Two beautiful actresses? Grace Kelly and Loretta Young. 10. An actor and actress with a unique voice? Eugene Pallet and Ruby Keeler. 12. Film suggestions that involve journeys to far away places? 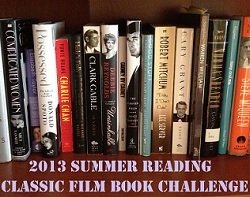 Northwest Passage, The Inn Of Sixth Happiness, The Lost Horizon, Mutiny On The Bounty. 13. A great film that involved boxing? Errol Flynn in Gentlemen Jim and John Garfield in Body And Soul. 14. A film you don’t watch for the story but just for the magnitude of the classic stars that appear in it? Hollywood Canteen. 15. An actor or actress whose mind gives you the impression they are 100 miles away. You know that spacey look? Jennifer Jones. 16. Suggest a film that might scare somebody if they watched it? Invasion Of The Body Snatchers with Kevin McCarthy. 17. A tearjerker scene in a particular film that always seems to gets to you? At the end of The Bells Of St. Mary’s where Father O’Malley tells Sister Benedict the real reason he is sending her away. 18. One actor and one actress with a calming soothing voice? Donald Crisp and Dorothy McGuire. 19 One film suggestion from the 1960’s and and 1970’s? The Graduate and Rocky. 20. Finally, what actor or actress comes to mind when I say the following word/words? Hope you enjoyed my first classic film survey. I look forward to doing more. Love your blog and have added it to my special list of favorites! 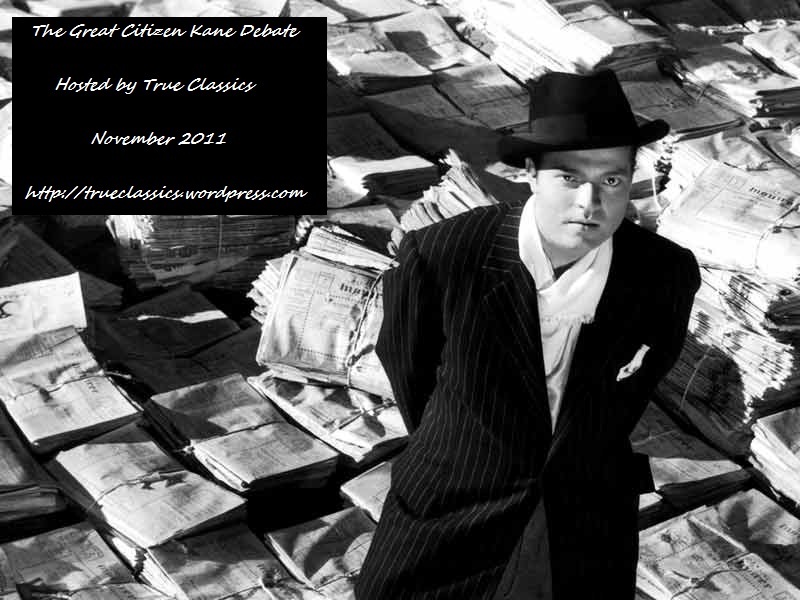 Check out the noir world at thenoirmovie.com and let me know what you think, if you are interested in swapping reviews we can exchange eBooks just shoot me a message! Hi, Lea — welcome aboard! Thank you for your kind words and thanks so much for following Shadows and Satin — I hope to see a lot of you here. I’m trying to get more into silents — I’ve only seen a few — It and Sunrise are my favorites. The Big Parade was recently recommended to me, so I hope to see it soon. Do you have any other recommendations for a novice silent watcher? Why yes I do–the best recommendation I can give is to start with silent comedy. The best of silent comedy is just as funny today as it was a century ago, and it’s a fabulous way to get acquainted with the era. Start with Buster Keaton’s short films, then watch some of his features (save The General for last), then explore the works of Chaplin, Arbuckle and Lloyd. Err, in fact, if you don’t mind another very shameless plug, I wrote an article on this very subject that goes into a lot of detail: http://silentology.wordpress.com/2014/04/10/getting-into-silent-films-where-to-begin/ Thanks again shadowsandsatin, it’s such a treat to connect with lovers of classic film! Aaaaaand I forgot to hit the “reply” button earlier and just made a new comment instead…mea culpa! Thanks so much for this most awesome plug, Cliff! You’re the berries.